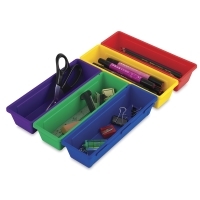 Essential organization tools in bright classroom colors! Storex Interlocking Trays can be used singly, or locked together in custom configurations in drawers or on work surfaces. Ideal for pencils, pens, markers, glue sticks, scissors, and other school or art supplies. This set of five trays includes one each of Blue, Green, Purple, Red, and Yellow. 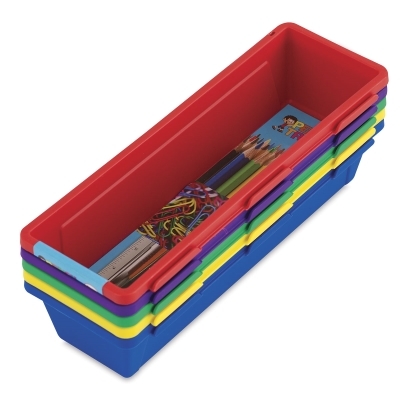 Individual trays measure 9-1/4" × 3" × 1.9".